Does the Ford Edge use a TIPM? Home → Misc Electronics Repair → Does the Ford Edge use a TIPM? Ever since launching our Dodge TIPM repair service, we’ve repaired the Trusted Integrated Platform Module for hundreds of Dodge vehicles. Some Dodges, however, have a very crummy TIPM which we do not repair. One of these vehicles is the Dodge Journey. The Journey’s TIPM has no components for us to easily replace. On the Caravan and Durango, the TIPM module has what we call through-hole components on the PCB. We’re able to locate the bad ones and replace them. Some Dodge Journey owners have been left stranded on the freeway or experience their radios turning on and off, or windshield wipers flapping around while the heat kicks on. When these owners hear that their TIPM is not covered under warranty, most say “never again”. Some Journey owners ask us if Ford vehicles have TIPMs. The answer is no. 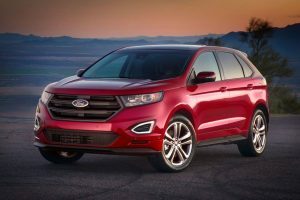 The Ford Edge is a comparable domestic crossover vehicle for those who do not want a foreign car or don’t want to shell out for a highlander. Plus, the interiors are beautiful. Looks aside, the Fords not only have no TIPM to break, they have an excellent warranty. In fact, some North Carolina dealers now offer warranty coverage for as long as you own your Ford vehicle. We hope that Dodge takes care of these issues once and for all soon.